Beyond the Mesas exceeds 100,000 clicks! This week Beyond the Mesas exceeded 100,000 clicks since it was launched in November 2009. To mark this milestone, I thought I would publish a Q&A that I participated in for the First Peoples New Directions website in 2012. The Q&A covers a variety of topics related to blogging and my reasons for blogging as a Hopi person. The original post can be accessed here. Hopi scholar and University of Illinois at Urbana-Champaign professor, Matthew Sakiestewa Gilbert has been maintaining his blog, Beyond the Mesas, for nearly three years. 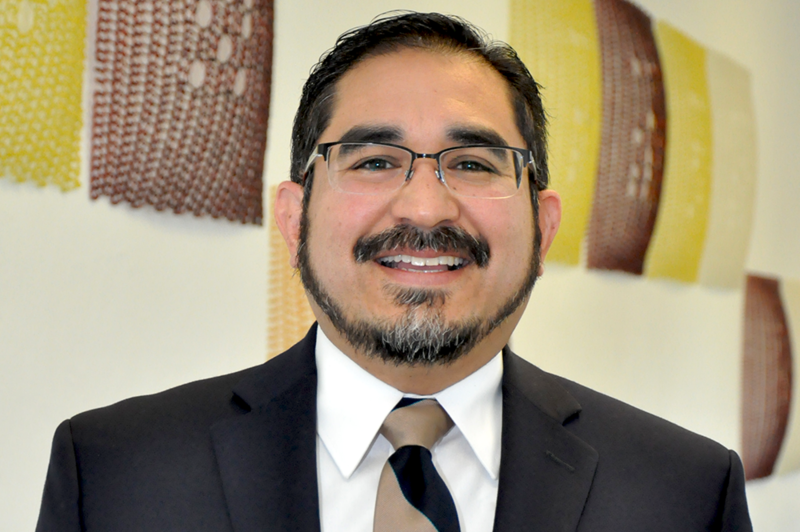 In his posts, he integrates his research on education and running with issues of Hopi politics, sovereignty, and self-determination. Last August, we included his blog in our roundup of Indigenous blogs to follow because of his admirable efforts to make scholarly research accessible to a broader public that included his home community. Today, Dr. Sakiestewa Gilbert discusses how he got into blogging, his objectives in keeping the blog going, and some suggestions for others thinking of starting their own blogs. I wanted a place to share my research with people on and off the Hopi Reservation. Throughout graduate school, and my first three years at the University of Illinois, I made my research available to people back home by publishing articles in the Hopi Tutuveni, the official newspaper of the Hopi Tribe. However, when the Hopi Tribe announced that the Tutuveni would close in December 2009, I had to come up with an alternative way to bring my work back to Hopi. I also wanted to create a space where the public could access reliable information on the Hopi people. There are a lot of bizarre websites on the Hopi, most of which focus on Hopi prophesies and spirituality. But these websites do little (if anything at all) to inform people about Hopi issues today. Has your blogging purpose or engagement with your readership changed over time? If so, how? Over the years I’ve tried to focus my blog posts on topics pertaining to Hopi sovereignty, self-determination, running, education, and photography. While I originally started blogging to share my research with the public, I also use it as a platform to showcase the work and accomplishments of other Hopi scholars. This part of my blog is really important to me. For example, when Hopi scholars Angela Gonzales (Cornell University) and Lomayumtewa C. Ishii (Northern Arizona University) received tenure and promotion at their respective institutions, I announced it on my blog. I also do this when Hopis publish articles or chapters in books. However, I don’t just highlight the work of Hopi scholars. A quick glance at my blog will reveal posts on Hopi artists, educators, preservationists, and various community leaders. The day my blog becomes all about me is the day I shut it down. You don’t shy away from engaging in Hopi politics on your blog; could you talk a bit about why you chose to get involved in political issues and what that entails for you? My posts on Hopi politics receive the most attention from readers. Depending on the post, I can receive up to 200 hits or more per day, especially if the post is about Hopi or Navajo water rights. 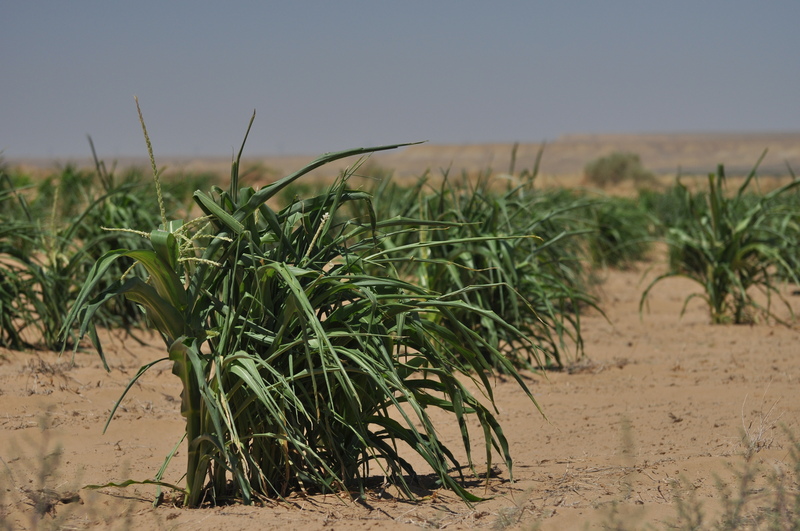 Earlier this year, federal officials, and some members of the Hopi Tribal Council, attempted to pass the Navajo-Hopi Little Colorado River Water Rights Settlement Act. Of course, this was/is an extremely important topic for our people, and I didn’t hesitate to use my blog to share information about the Legislation with Hopis and the public. I also received a lot of help with my efforts. Hopi grassroots organizers such as Benjamin Nuvamsa provided me with information for my blog, and even officials with the Hopi Tribe sent me materials to share with my readers. Although I made it clear on my website that I opposed the proposed legislation, I was happy to make my blog available to both groups. I was also glad to provide people with materials to help them make a more informed decision about the Act. Why do you think it’s important for scholars to keep blogs that are accessible and useful to the general public and, specifically, to Indigenous communities? We have a responsibility to our Native communities. We have an obligation to bring our research to our people in meaningful and useful ways. However, many back home will never have access to our publications. To make our research more accessible to Native communities or the general public, we need to look beyond scholarly journal articles and books to find other ways to disseminate this information. We need to consider using social networks such as Facebook, Twitter, and blogs. At this point in my life, I’m not able to make frequent trips back to the Hopi Reservation. But I’ve been able to stay connected to home through my blog. People back home know what I’m up to. They are able to see how I’ve used my education – an education that the Hopi Tribe generously funded through the Hopi Tribe Grants and Scholarships Program and the Hopi Education Endowment Fund. Also, in comparison to other Native bloggers, I came to the world of blogging late. Several Native scholars had already made their research available to readers on their websites, including Debbie Reese, Julia Good Fox, and Deborah Miranda. This is in addition to more recent blogs by Hopi scholars Angela Gonzales and Trevor Reed. Do you have any advice for other scholars thinking about starting blogs? Find a mentor, especially early on, to help you navigate the world of blogging. I was fortunate to have Debbie Reese there to help if I had questions about blog content or the more technical aspects of blogging. Also, don’t give up on your new blog prematurely. When I started blogging, I told myself that regardless of how many views my blog received per day, I would commit to blogging for six months. Once six months passed, I reevaluated my desire to blog, and the usefulness of my website. It’s very easy to get discouraged as a new blogger. You wonder if all the time and effort you put into blogging is worth it, especially when the activity on your blog is down. But you have to keep the big picture in mind. You have to give your blog time to grow. And you have to give your readers time to value your blog and its content. And some logistical questions: About how many hours do you spend maintaining the blog each week? What platform do you use? Did you have any formal training or did you just start blogging? I usually spend four to five hours a week maintaining my blog. Sometimes I spend 10 hours or more, especially if I’m working on a post that requires a lot of thought. Other time is spent responding to comments or emails, updating web links, and searching the Internet for blog related information. I also pay close attention to my blog stats, which provide information on the terms people use to find my blog, the general geographical location of my readers, and the number of hits I receive on any given post. This helps me to gauge what people are interested in, and it gives me ideas about future articles for my blog. The blogging platform that I use is WordPress.com, which is a powerful and yet easily accessible host. While blogging with WordPress is free, I pay annual fees for my website domain name, and the ability to customize the website’s Cascading Style Sheets (CSS), which allows me to manipulate the website in various ways. I had no formal training before I started my blog. I watched several WordPress tutorials on-line, and took advantage of other videos on YouTube. Has the blog opened any doors for you or shaped your research or teaching in any unexpected ways? Since launching my blog in 2009, I started assigning blog assignments in a few of my classes. In lieu of a research paper, I give my students an opportunity to maintain a blog on issues pertaining to the course. I require my students to post twenty times throughout the semester. Blog posts must be well-written, interesting, thought provoking, and no less than 250 words in length. By using my blog as an example, I have my students focus their posts on topics that pertain to Native sovereignty, representation, decolonization, and Indian self-determination. The blog assignment encourages an atmosphere of learning, teaching, and mutual respect among my students. It also gives my students an opportunity to publish responsibly, to avoid commonly held Native stereotypes in their own writing, and to engage the public intellectually. What’s the most surprising or meaningful feedback you’ve ever gotten about your blog – either as a comment on the site or delivered to you in person? Matthew Sakiestewa Gilbert is an enrolled member of the Hopi Tribe from the village of Upper Moencopi in northeastern Arizona. 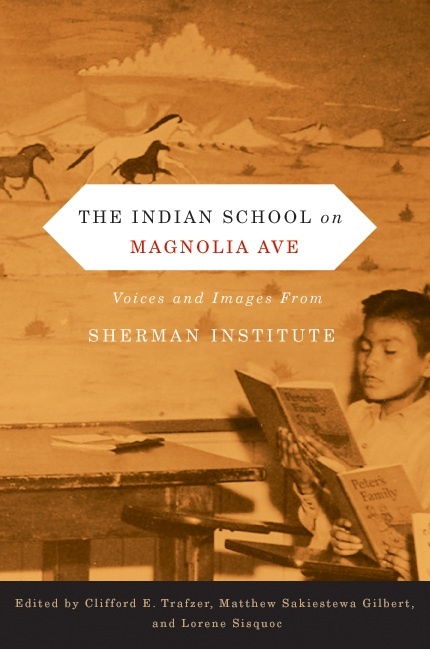 He is an [associate] professor of American Indian Studies & History at the University of Illinois at Urbana-Champaign and a co-editor of the forthcoming Oregon State University Press/First Peoples volume, The Indian School on Magnolia Avenue: Voices and Images from Sherman Institute (December 2012). 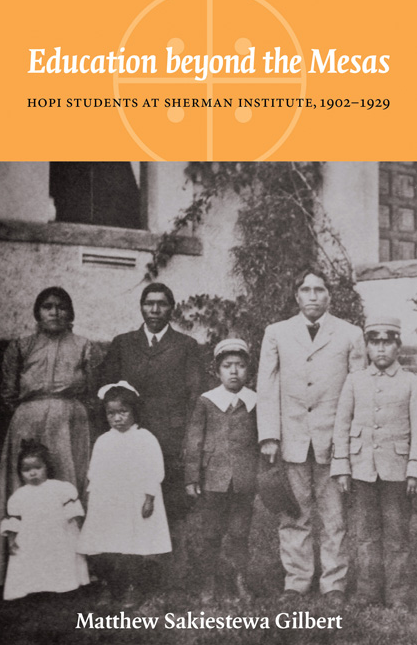 Sakiestewa Gilbert is also the author of Education beyond the Mesas: Hopi Students at Sherman Institute, 1902-1929 (University of Nebraska Press, 2010). 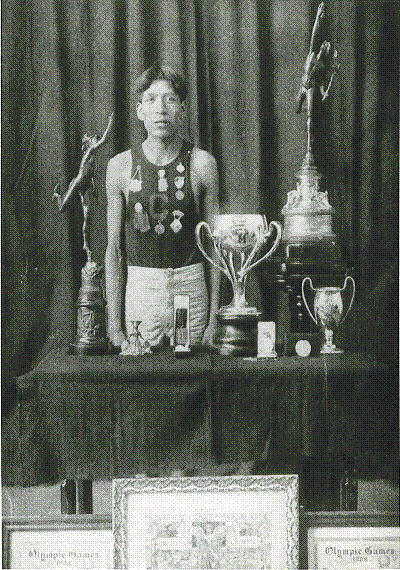 He is currently completing a book entitled Hopi Runners: Crossing the Terrain between Indian and American, 1908-1932, which is under contract with the University Press of Kansas (CultureAmerica Series).